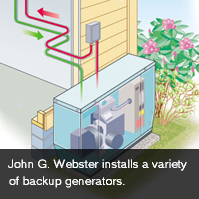 Never be without power again with a backup generator from John G. Webster! Don’t let a power outage affect your home comfort or medical needs. We sell and install residential backup generators throughout Washington, DC, Maryland and northern Virginia to keep your home or business running smoothly year-round. Natural gas-powered backup generators have many benefits! Backup generators are independent from your home’s electricity system. If a storm knocks out your neighborhood’s power, a backup generator will automatically kick on to provide some or all of your home or business with electricity. You’ll never have to worry about outages again! Backup generators are especially important for those with health conditions that depend on electric medical devices. A backup generator will provide you and your family with peace of mind that your loved ones will never be without important medical equipment. John G. Webster only sells top-quality, name-brand equipment. 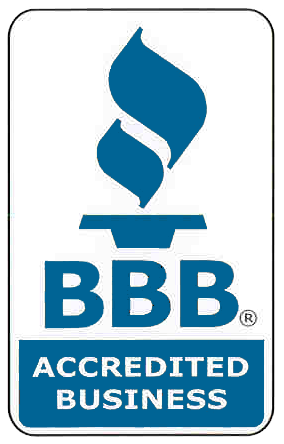 Our knowledgeable sales team will determine the best backup generator for your home and family’s needs, and our experienced technicians will expertly install it for you. Our focus on safety will keep you relaxed while we’re hard at work. Interested in a backup generator? Contact us today!